In order to get training results, the body needs to adapt to the stress caused by the exercise. To properly recover both physically and psychologically the body needs sleep and rest. During that time the muscles start to repair and strengthen themselves while replenishing energy stores, or muscle glycogen (1). If the body does not get the recovery it needs the muscles will not be able to regenerate or restore the muscle glycogen. In a nutshell, without proper recovery the body will keep breaking down. Immediate or short-term recovery happens right after a training session whereas long-term recovery should be incorporated in a year-round training schedule (2,3). A well made recovery/training routine can help prevent overtraining and enhance performance (4). A light cool-down exercise, or active recovery, after a hard training session has positive effects on such things as lactate acid (the stuff that makes you want to puke after training) disposal and injury prevention, which are related to better performance. To prevent muscle breakdown and fatigue, a well-balanced meal with plenty of fluids is always the best way to go. Long-term recovery should be integrated in the training program you are using. In addition to short-term recovery methods, it is wise to divide the program into smaller training seasons. This avoids one-dimensional training which can hinder performance in a number of ways (5). For example, you wouldn’t want to make a hockey player squats for the whole season. You need time on the ice as well! This is why it is always recommended to incorporate versatile workouts and rest-days in the training schedule. 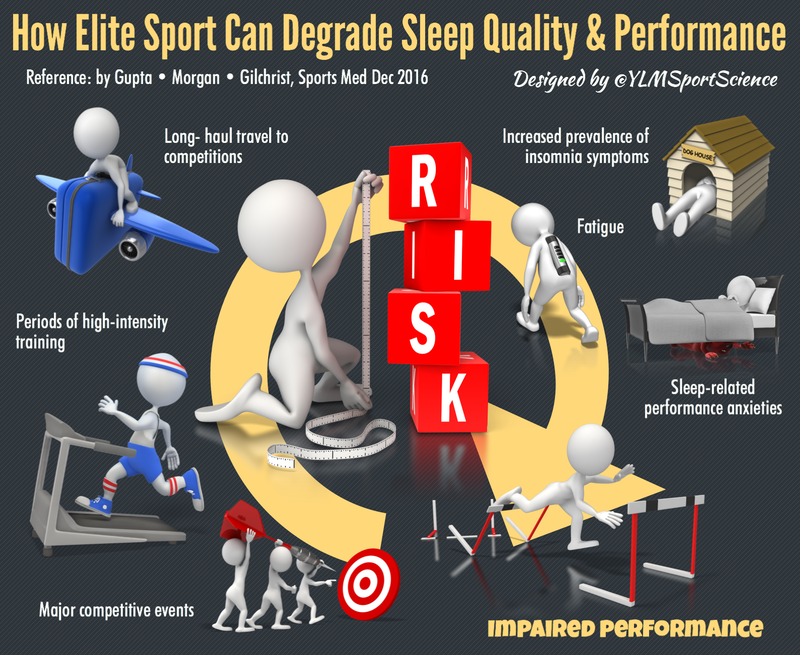 While a few bad nights of sleep are hardly enough to make a lasting impact on health or performance, consistent sleep deprivation may result in some negative effects such as bad mood, reduced activity of growth hormone, low motivation, decreased endurance performance (1) and lowered muscle recovery (1,6). It also has an influence in memory and learning (1) which is especially important in the lives of adolescents because puberty changes sleeping patterns due to hormonal changes. Sleep deprived people have also showed higher amounts of cortisol, a stress hormone, in the body (2,3) which can lead to a variety of different symptoms. A great workout program offers a balance between rest and training while having variety in time, intensity and distance. Getting the most out of anyone is not easy and it needs both body awareness and listening to individual needs. It’s all about balance and versatility in both training and everyday life. Swartzendruber, Kris. 2013. The importance of rest and recovery for athletes. Michigan State University Extension. Mandelbaum Bert R, MD, Silvers, Holly J, MPT, Watanabe, Diane S, MA, ATC, Knarr, John F. PT, ATC, Thomas, Stephen D, MPT, Griffin, Letha Y, MD, Kirkendall, Donald T, PhD, & Garrett, William, Jr, MD, PhD. 2005. Effectiveness of a Neuromuscular and Proprioceptive Training Program in Preventing Anterior Cruciate Ligament Injuries in Female Athletes: 2-Year Follow-up. The American Journal of Sports Medicine, Vol. 33, No. 7. Foster, Carl. 1998. Monitoring training in athletes with reference to overtraining syndrome. Medicine & Science in Sports & Exercise. Jul;30(7):1164-8. Mah, Cheri D, MS, Mah, Kenneth E, MD, MS, Kezirian, Eric J, MD, MPH, & Dement, William C, MD, PhD. 2011. The Effects of Sleep Extension on the Athletic Performance of Collegiate Basketball Players. Sleep. Jul i; 34(7): 943-950. YLMS Sport Science makes some of the best infographs! Previous PostPrevious To carb or not to carb?